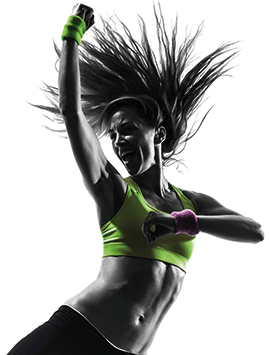 From Zumba to spinning and TRX to CrossFit, there has been an explosion in different fitness trends in recent years. There’s no excuse any more for those of us who find gym workouts boring, as there’s an activity to suit virtually all interests and fitness levels now. Each year the American College of Sports Medicine (www.acsm.org) publishes its worldwide survey of fitness trends in which it forecasts the most popular workouts for the year ahead. According to the findings for 2016, Zumba, indoor cycling, pilates and boot camps have all fallen in popularity, whereas wearable technology, flexibility and mobility rollers and smart phone exercise apps are among the hottest new trends. “A number of current trends still have shelf-life so will remain the hot workouts for 2016,” comments fitness consultant Dean Hodgkin (www.deanhodgkin.com). Dean predicts that high intensity interval training (HIIT) will continue to be popular as will bodyweight workouts and strength training. Barre classes grew in popularity over the last year and variations on the classic classes look set to take 2016 by storm. Low impact but high intensity, these popular workouts help to create and maintain a lean, toned physique. At Barreworks in London, (www.barreworks.co.uk) instructors include Royal Ballet School-trained dancers and online classes are also available for those who can’t make it to the studio. The Barreworks Fusion WorkOut combines barre work and deep stretching set to high-energy music and claims to improve core strength and flexibility. The Barreworks Ballet WorkOut class combines elements of ballet training and athletic conditioning, from basic barre work to strength training and physiotherapy. The music, exercises and movements have all been designed to enhance grace and posture, promote muscle conditioning and increase definition, flexibility and balance. The newly launched Boxerina workout combines elements from pilates, ballet barre and boxing techniques. Developed by Paola Di Lanzo, the founder of Paola Body Barre, Boxerina gets into the deeper stabilising muscles, as well as the peripheral muscles, and promises to give you a sculpted physique. Other benefits include improved posture and a stronger core without bulky muscles. Mixing pirouettes and punches, this high octane workout combines the grace, poise and elongation of muscles through ballerina moves and poses with the focus, fierceness and fight of boxing. Indoor trampolining parks look set to be one of this year’s hottest fitness trends. Venues like Flip Out (www.flipout.co.uk) and Jump Nation (www.jumpnation.co.uk) are home to dozens of interconnected trampolines where visitors can bounce away to their heart’s content for fun, or take part in specific fitness classes. Not only does trampolining have less impact on the joints, but it also works the core muscles of the body and helps to improve heart health and posture and lower cholesterol. Similarly, rebounding is a fun, high energy workout that can be performed at home or at the gym (www.rebound-uk.com). It takes place on a small circular trampoline designed to give extra spring and absorb impact. Sessions typically last 20 to 45 minutes and can be tailored to focus on cardio, strength and core, and sports-specific routines. A mixture of personal and group training, this emerging trend for 2016 is all about training in a fitness class environment but with fewer people, to speed up progression and decrease the risk of injury and reaching a plateau. “There’s more attention on you and your goals,” explains Russ Harris, head of training at SIX3NINE, a London-based personal training practice (www.six3nine.com). “The format has been designed to merge traditional one-to-one training sessions with a progressive class format and education for optimum results.” To embrace this trend, SIX3NINE has launched two small group training programmes: Ladies that Lift – a weightlifting class for women – and GroupFit, a challenging full-body resistance programme for men and women. With classes led by two of the training team and restricted to eight participants, each attendee will receive one-to-one coaching during sessions and be given the tools they need to train effectively and more frequently, outside of a class environment. Having been imported from Hollywood and recently launched in London, Studio Lagree could well be one of the hottest workouts of 2016. The intense 50-minute classes take place on Megaformers™, machines specially designed by Los Angeles-based fitness guru Sebastien Lagree. The Megaformer is the basis of a core-burning workout that combines pilates, cardio and strength training. The machine has three components: the front and the back platforms, which are sturdy, and the carriage which moves between the two. The carriage has springs attached so you can adjust the resistance and once you’re on it you can do lunges, squats, push-ups and pretty much any workout move imaginable. Every session features targeted exercises performed at a slow and controlled pace, activating slow twitch muscle fibres to build a long, lean physique.